But it’s not the same for eyelashes. For most of us, we perceive our lashes too short compared to what beauty magazines, models seem to have…(our first mistake, comparing ourselves to photoshop features). We never really notice our lashes much unless we are using mascara that “pumps up the volume” even when they shed. ?? What? You didn’t know your eyelashes shed? Well, they do, just like hair everywhere else on our bodies, lashes shed too. It’s never more noticeable than when we are wearing lash extensions. 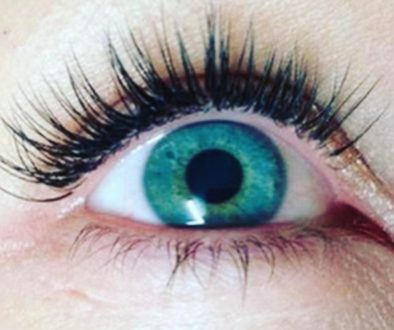 There are many procedures for eyelashes nowadays, there’s perming, dying, curling, and now eyelash extensions. I have come to realize that there are still very few people who understand how eyelashes function and what its purpose is for. So, here we go! As I mentioned above, eyelashes are just like hair on/in other parts of our body; growing & shedding. Except the eyelashes have a shorter lifespan compared to that of the hair on the head. Hair on our heads may have several years of growth before it stops growing. Our eyelashes, on the other hand, complete their entire lifespan in as short as 30 to 45 days. That’s 4-6 weeks! Yes, you read that correctly, from the growth spurt to the stagnant period until it falls off. this is why we need fills every 2-3 weeks to maintain a full-set. 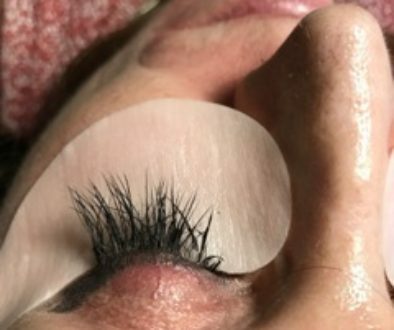 So, what exactly is the function of the eyelashes? Why is it at the edge of the eyelids? Eyelashes play a very important role in the protection of the eyes. Connected to highly sensitive nerve endings, eyelashes can detect rapid changes in the air pressure surrounding the eye area. This prompts the nerves in the eyelids to trigger the closure of the eyelids in order to protect the eyes from things like dust and sand. The high sensitivity and soft tissue of the eyes makes it easily susceptible to trauma and damage. The eyelashes ensure that the eyes are safe all the time. Understanding the role of eyelashes allows people to have a better appreciation of what seems to be just added aesthetics to the eyes. Eyelashes have a lifespan of about 30 to 45 days before they fall off from the eyelids. 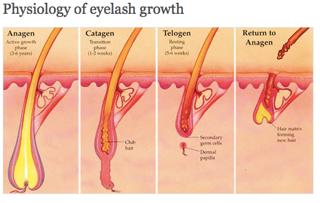 The lifecycle of the eyelashes are distributed into three phases: the anagen, catagen, and telogen phases. Anagen Phase: the growth spurt phase of the eyelashes. This is the phase where the eyelashes grow to their full length. The length of the eyelashes is purely based on the genes of the person and not influenced by external factors. However, this is one of the crucial stage wherein the strength of the eyelashes are established – stronger eyelashes can withstand pressure and damage from eyelash curling and mascara daily better. Some eyelashes experience breakage during extreme curling, especially when heat is involved. Catagen Phase: The period when the lashes stop growing and maintain their length. It is also called the ‘rest period’. This is the usual phase that most eyelashes are seen as it is also the longest stage that lasts between 14 to 20 days. During the catagen phase, the eyelashes have already established its strength and holding power. No amount of supplements or serum can improve the strength of the eyelashes at this stage. Telogen Phase: The last phase in the life of an eyelash. This is the part when the hair follicle holding the eyelash would start to loosen and slowly release the eyelash from its grip. Simultaneously, a new eyelash will start to emerge from the hair follicle. So, during an appointment, say for a full-Set, we aim to lash the majority. A lash shed also happens when the seasons change, stress and hormones. If you are on a hormone replacement therapy (HRT) or take any growth hormones for their eyes or they have eyedrops or serums that make the lashes grow faster and fall out faster and shed, then it can happen on one eye because every lash has their own lash growth cycle. It could happen on the other eye next time. 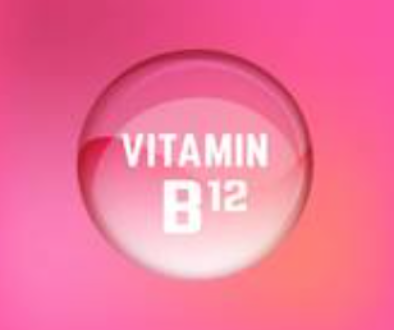 It’s hormonal imbalance. It’s not just change of seasons (which most people think)but it’s not. It could be medication you could be taking. As I said, HRT, hormone replacement therapy, is a big factor. Eyelashes are more than just accessories to the eyes. They are more than the strands of hair that just give depth to the eyes. Eyelash growth depends on the type of hair, curly hair tends to grow less, than straight. EyeLash Extension Irritations…	Eyelash Serum… Truth Bombs!